Gregor Fuhrmann, born in 1982, studied pharmacy at the Free University of Berlin and in 2013 received a doctorate in pharmaceutical sciences from the Swiss Federal Institute of Technology (ETH) Zurich. 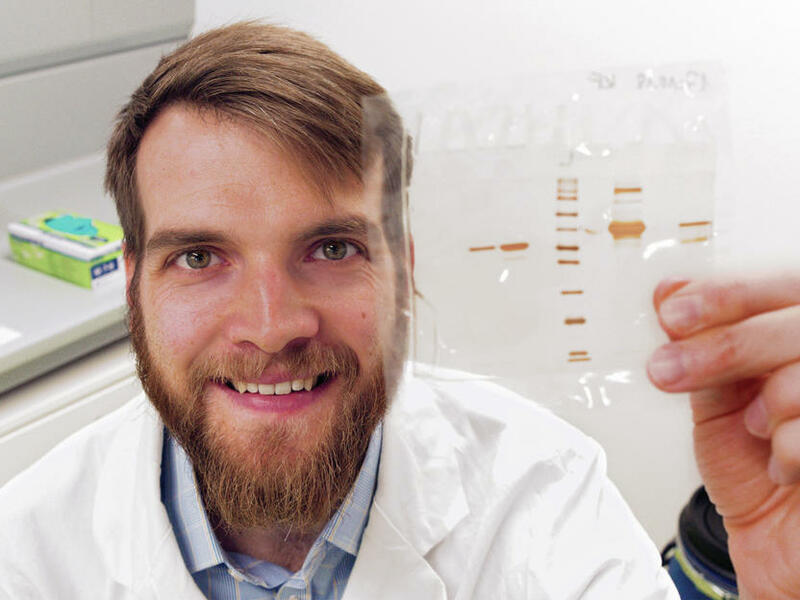 He spent a postdoctoral period at the Imperial College London and, since 2016, has been head of the Junior Research Group Biogenic Nanotherapeutics (BION) at the Helmholtz Institute for Pharmaceutical Research Saarland. Gregor Fuhrmann is co-founder of the German Society for Extracellular Vesicles (GSEV) and has been a member of its board since 2017. He is responsible mainly for public relations and the internet presence and is co-organizer of the 1st GSEV Autumn Meeting. He is also a member of the German Pharmaceutical Society (DPhG) and has already featured as a guest editor for its membership magazine Pharmakon (issue 02/2018, celiac disease). For the DPhG annual meeting 2018, he organized and conducted a session on biogenic and biomimetic drug delivery systems. For his PhD thesis, Gregor Fuhrmann received both the ETH Medal and the Rottendorf Europapreis in 2013. In 2017, he was awarded the Technology Prize of the Galenus Foundation, one of the most prestigious young talent awards in pharmaceutical technology. He was a Postdoctoral Fellow of the German Academic Exchange Service in 2013 and a Marie-Curie Intra-European Fellow in 2014/15. His research is centered on developing advanced drug carriers to treat infectious diseases, with a focus on biogenic, natural systems, and in particular the role of extracellular vesicles in bacterial infections. Another research interest is developing new therapeutic systems for treating autoimmune diseases of the digestive tract, such as celiac disease or inflammatory bowel disease.